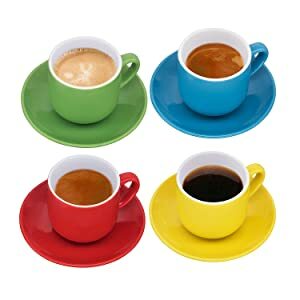 Double shot of espresso or macchiato, anyone? 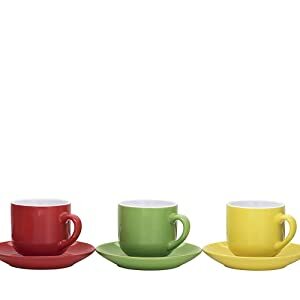 Saucer is perfect for holding cookies, scones, and other small treats along with your espresso. 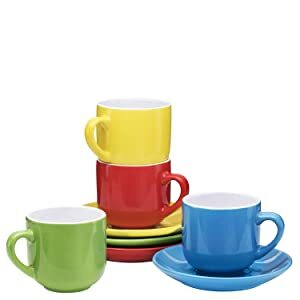 Comes in a set of 4 (4 cups and 4 saucers). 4 oz. capacity (118 ml).